The current tax regime places more emphasis on the basic pay as an indicator of the taxable income level while it allows for limited exemptions for certain allowances. Tax assessment season is with us yet again. You have probably not exhausted your tax saving options and are considering many investment options. Here’s how you can further lower your tax liability by optimizing on your Cost to Company (CTC) pay rate and still be compliant with the existing tax laws. Redistribute Your Pay and apportion more to allowances and reducing on the basic pay. The current tax regime places more emphasis on the basic pay as an indicator of the taxable income level while it allows for limited exemptions for certain allowances. By redistributing your pay to reflect more on the allowances and less to the basic pay, your tax liability will reduce considerably. Although the approach may be attractive, it has a negative effect in that you reduce the amount you can contribute towards your retirement benefits. By increasing your contributions to the Employer Provident Fund (EPF) or the National Pension Scheme (NPS) which have more tax friendly terms, you reduce your tax liability by shrinking the amount of your basic pay. Though you may achieve significant savings to use in your retirement and a lower tax liability, this approach considerably reduces your liquidity. This approach requires the brave hearted but yields the most. Change your professional approach by becoming a freelancer or consultant and start reaping from a lower tax liability. The finance minister brought in professionals and freelancers earning up to 50 lakhs per annum under the presumptive tax regime. Taking the recently introduced option 44ADA will translate to your taxable income being slashed by up to 50%. This method requires you to be diligent in making and keeping records of your receipts. You have to maintain records of work-related expenses for a minimum of 8 years and will lose out on tax saving benefits associated with EPF, House Rent Allowance (HRA), LTA (Long Term Allowances) amongst others. Tax saving begins at reducing your tax liability. 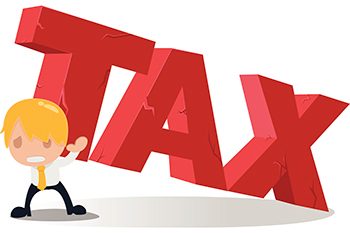 After careful evaluation on either of the aforementioned options and diligently following through on the most suitable one, you can lower your tax liability at the same income level.